"With the latest SVL65-2, Kubota carries on with its reputation for quality, comfort and performance, making it an ideal choice for landscapers, rental companies and small contractors." Designed for big jobs in tight workspaces, Kubota's new SVL65-2 compact track loader is sure to meet the expectations of construction and landscaping entrepreneurs who have been waiting for its exciting new features that will increase their team's efficiency. 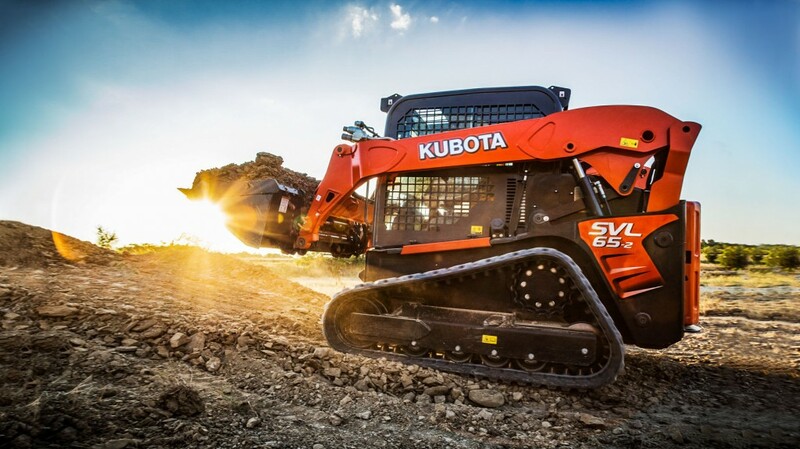 With its exceptional comfort, Kubota says that the new SVL65-2 will delight operators by making their work easier while providing them with superior operational control, power and performance. "Kubota Canada has set the standard in the landscaping and construction market worldwide, raising the bar in engineering innovation, power and performance with user-friendly serviceability in every one of the models of our compact track loader lines," says Bob Hickey, President of Kubota Canada Ltd. The new SVL65-2 features an Advanced Multifunction Valve (AMV Valve) for improved multifunctional operation and allows for smooth operation when using simultaneous controls, such as auxiliary, boom and bucket circuits, allowing operators to be more productive throughout their work day. A comfortable operator is a productive operator and while the overall footprint of the new SVL65-2 is smaller, the cab is equivalent in size to the SVL75-2 and SVL95-2s, providing ample room for the operator's legs and adding to its comfort and convenience. The spacious cab also includes a standard suspension seat that offers outstanding comfort with ergonomically placed armrests on the right and left sides to minimize operator fatigue. Consistent with the larger models in Kubota's SVL Series, the SVL65-2 features a sliding front door – its signature and best selling feature – that can be opened regardless of the position of the bucket or loader arm; plus, full machine operation is possible with the door open, when desired. "Our newest product in the compact track loaders category further strengthens our construction equipment line. The SVL line represents our commitment to quality and safety for all our customers from coast to coast. Offering this smaller class-size compact track loader to Canadian customers and operators makes Kubota a stronger player in this category," concludes Yannick Montagano, vice-president of Sales & Marketing at Kubota Canada Ltd.